Mostly I just wanted to lay in bed and feel sorry for myself (which really only happens to me on my birthday). Poor Brent was patient and thoughtful. 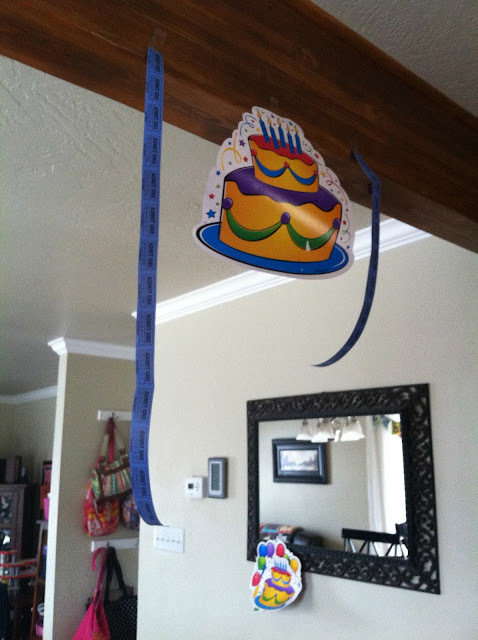 He even decorated the house with "ticket" streamers. (I think we were out of crepe paper.) You may remember the girls "blown up balloons" from last year. It is always interesting to see what surfaces when it is mom's birthday. Around 1 pm I finally got a grip and finished the day full of cheer. 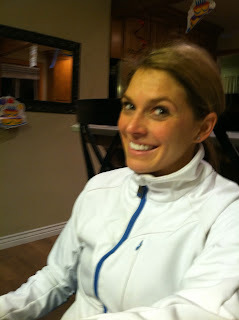 The day after we celebrated and took the family out to breakfast, got a babysitter and Brent and I went to Park City. 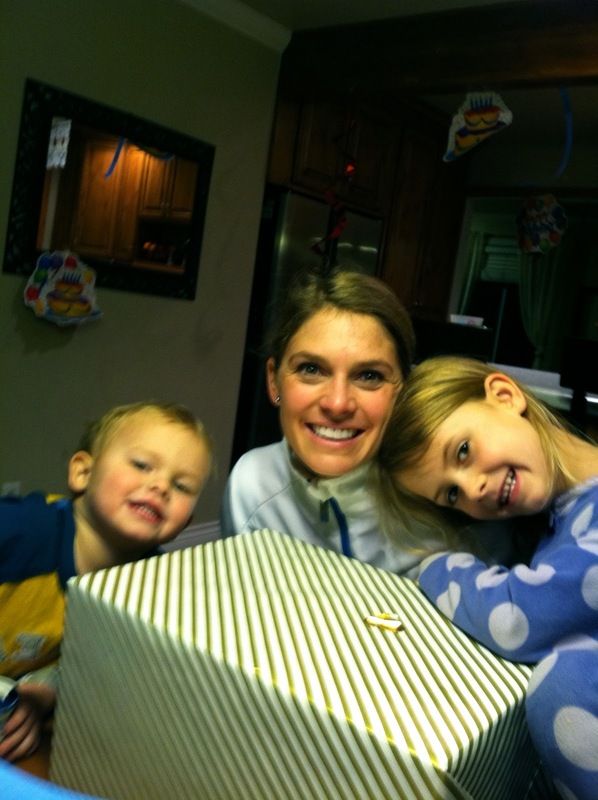 It was a great birthday. Oh, I'm sorry your b-day started off so rough! B-days are hard for most of us, I think. Especially us old women! ;) Glad things got better and you were able to enjoy the weekend!